Histologically, a thin section from an embryonic liver shows massive number of blood precursor cells, including red and white blood cells and megakaryocyte (cells with giant nuclei that normally resides in bone marrow) within the liver tissue (parenchyma). The large, blood-filled vessel in the centre is the central vain. 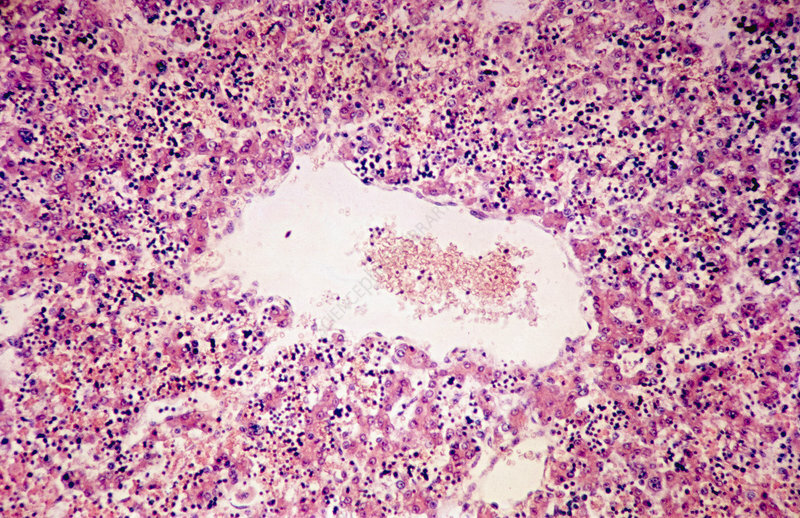 H&E stain, 40x magnification.